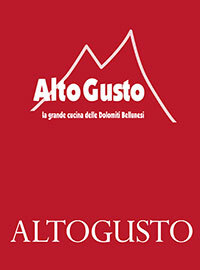 Gigi finds his inspiration from the high-altitude meadows of the passo Giau. An inexhaustible source for colors and flavors, wild flowers and herbs gathered in the spring make his dishes truly exquisite. 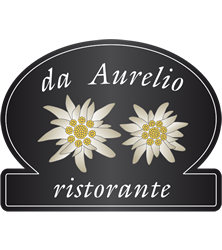 Da Aurelio is a member of Altogusto, a group of restaurateurs whose objective is promoting and developing culinary traditions, using only prime local products, while emphasizing research and innovation. With a grasp on ancient knowledge combined with great skill and the desire to experiment, Gigi’s creations promise to amaze! The varied ingredients, always recognizable, blend in delicious harmony. Let yourself be tempted by Chef Gigi Dariz’s creations and experience a journey of flavors that you will surely want to repeat!